Overall the soundtrack is a tribute to G.Wayne's genius with big strings and sound in some parts while other are sparse and cut down to the bare essentials. Over the years the soundtrack is what has given the movie its longevity. 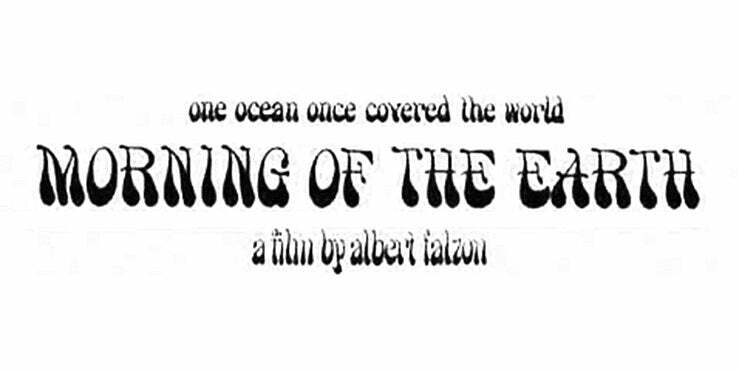 "Morning of the Earth" is still regarded as one of the best movie soundtracks of all time and according to Albe Toms is one of the highest selling Australian movie soundtracks ever. "I always think music is a powerful adjunct to memory and it really matters when you heard it first. My little brother and I got a copy of the album (Morning of the Earth) right after having seen the movie back in 73." Nick Carrol - Surf Writer and all round good guy. Quote from Nick Carrol, one of the world’s best-known writers on the subject of surfing.
" ... We used to play it all the time, we and our mates evolved a whole fantasy world based on that album. Each of us had our favourite tracks representing our own surfing characters. We all thought we were going to grow up to be either hell surf stars or Simple Ben. We dead set believed that surfing was part of the original primitive creation of the planet Earth and that our early morning backlit surfs were the literal Coming Of The Dawn. I am not nostalgic when I hear those tracks today -- nostalgia is a wish for something you never had, instead I'm actually plunged into the life of a 14-year-old surfer in 1973, when MP, Fitzy and Gerry Lopez were gods, and Kirra Point and Pipeline were far-off dreams. The world wasn't any simpler, not really, but by God we were "
" ... It is even rarer when this combination transcends the time period it was made and keeps striking chords of relevance with new generations as they rise; when the sum of the parts creates a unique standalone." December, 2008.